As public health concerns relating to environmental chemicals increased so are the efforts in evaluating exposure and health effects, and assessment and management of health risks. 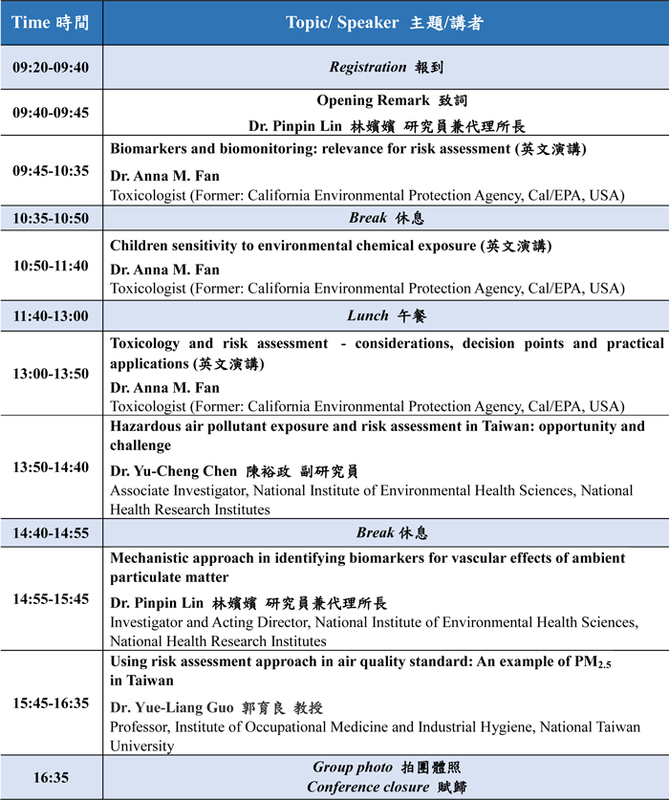 The presentations include recent advances in research on exposure, health effects, biomarkers, age sensitivity (infants and children), and their integration into risk assessment. They address challenging issues that involve the interpretation of biomarkers; data evaluation, interpretation and extrapolation; and considerations for a high quality and credible risk assessment. Recent NHRI research relating to Taiwan ambient particular matters are presented.